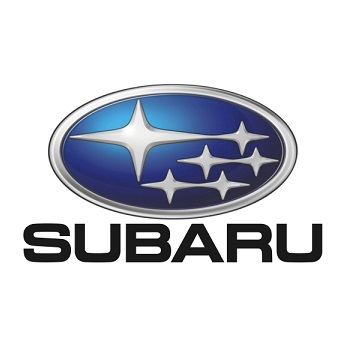 Subaru OEM Parts: Trust only Genuine Subaru parts when repairing your Subaru! To keep your Subaru running at it's best trust only Genuine Subaru parts when repairing, maintaining, or modifying your Subaru. Subaru has everything necessary to keep your Subaru on the road available. We also carry the SPT line of Genuine Subaru Performance Tuning parts and accessories. If you do not find something you need listed in our catalog, please ask and we can usually have it in a few days time. This Subaru OEM Master Gasket and Seal Set for 2006-2014 Subaru Impreza WRX, is vital to a successful rebuild of your engine. Trust only genuine Subaru OEM gaskets on rebuilding your EJ255 motor. This Subaru OEM Master Gasket and Seal Set for 02-05 Subaru Impreza WRX is vital to a successful rebuild of your engine. Trust only genuine Subaru OEM gaskets on rebuilding your EJ205 motor. This Subaru OEM Master Gasket and Seal Set for 2007 Subaru Impreza STI, is vital to a successful rebuild of your engine. Trust only genuine Subaru OEM gaskets on rebuilding your MY07 EJ257 motor. This Subaru OEM Master Gasket and Seal Set for 2008-2016 Subaru Impreza STI, is vital to a successful rebuild of your engine. Trust only genuine Subaru OEM gaskets on rebuilding your MY08-MY16 EJ257 motor with Dual AVCS. This Subaru OEM Master Gasket and Seal Set for 2004-2006 Subaru Impreza STI, is vital to a successful rebuild of your engine. Trust only genuine Subaru OEM gaskets on rebuilding your MY04-MY06 EJ257 motor. Subaru OEM crankhafts are the perfect crank to build a strong bottom end to support medium horsepower levels. Each crankshaft is heat treatmented, shot-peened, magnafluxed, and induction hardened for maximum strength. This crankshaft is perfect for 2.2L stroker EJ205/EJ207 builds and EJ255/EJ257 standard engine rebuilds.